MUNICIPAL governance in India has never been considered to be something that needs any commendation at any level. It’s mainly because, barring a few municipal bodies (Surat which, in the 90s, woke up to clean up the city in the wake of plague outbreak), most have been known to be dens of corruption, inactivity, disservice and for the inept attitude of its officers and employees. The result has been that our cities were in a shambles and questions were always raised about the civic conditions of growing cities. Water leakage from public taps, poor tax collection, bad roads, building permission scams, substandard gardens, absence of public toilets, dirty slums and an overall indifferent approach towards the citizens made the living condition in our cities pathetic. This went on after the 74th amendment to the Constitution which, way back in 1993, tried to remove the anomalies in what was called the archaic Nagarpalika Act. Mayors and councillors or corporators were made more powerful after dissolution of powers to the civic bodies. After that followed many other schemes and policies aiming at improving our cities, such as JNNURM which flooded the cash-starved municipal bodies with funds. With that came some structural reforms. Although urban development is a state subject, central funding from time-to-time was intended at introducing reforms in various aspect of municipal governance. Then came the Smart Cities Mission and AMRUT schemes sanctioned by the Ministry of Housing and Urban Affairs (MoHUA), to spruce up cities, touted as growth engines of the economy. But clearly, municipal governance is changing fast as Indore has shown prominently and consistently. The city has bagged the prestigious cleanest city award in 2019 once again. Since Indore has topped the chart in all India competition of the ‘Swachh Bharat Mission’ of the Modi government, a look at changing nature of civic administration is timely. It’s also because Indore has shown the way to India, a country leading world’s largest cleanliness survey with 4,237 cities and impacting over 40 crore citizens. Even the UN has praised the effort. The commercial capital of the Madhya Pradesh was adjudged as number one city for the third year in a row for the innovative approaches it adopted in cleaning up the urban mess. The Indore municipal corporation was founded as early as in 1869 by the Holkar Maharaja, who had also loaned Rs. 1 crore to the British rulers the same year to have Khandwa-Indore rail line laid down. What did Indore actually do to be the all India winner, getting 4,659 marks out of 5,000? Indore, after winning the first position in 2017, maintained the consistency which, in other words, means sustainability of its efforts. It built on the base of 2017 in the next two years. The Ministry had stipulated stringent parameters for the inter-city competition supported by an independent agency Karvy Data Management Services Limited, which made the assessment of 4,000+ cities in a record time of 28 days. “All assessments of the ULBs were online, something that was done for the first time,” according to the Union Urban Affairs Secretary, Durga Shankar Mishra. 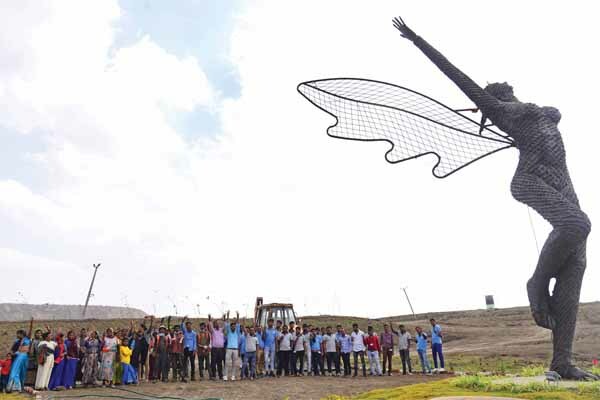 Indore first became an open defecation-free city and district in 2017 and then kept up the cleanliness drive across the city with creating awareness among citizens for segregating the garbage at source. Door-to-door garbage collection vans started moving through all localities, special music and jingles were created and municipal staff was motivated to bring Indore to the top. All zonal officers and lower staff of the IMC, with an annual expenditure of close to Rs. 5,000 crore, were filled with a rare sense of doing their duties more seriously than ever before. “It would not have been possible without the total support of people of Indore as also of my dedicated team of officers and safai karmacharis,” said a beaming Asheesh Singh, Commissioner for just about a year, adding “when ban on spitting on roads was imposed, people actually welcomed it”. Earlier, throwing litter on road was banned and residents had been persuaded to keep a bucket inside their car to throw leftovers, cigarette butts, banana peels, plastic bags, etc. Asheesh took over from Manish Singh in 2018; the former had started the drive which was clearly ungovernmental in its approach for the first two years, 2016-17 and 2017-18. WHERE one Singh left, another Singh took over with much more enthusiasm and zeal and an organised manner. What the two officers did is extraordinary in the annals of municipal governance. Asheesh did a stupendous job of cleaning up a huge garbage dump which was 40-50 years old in less than a year. The dump was spread over 100 acres of land which has now been freed and reclaimed. 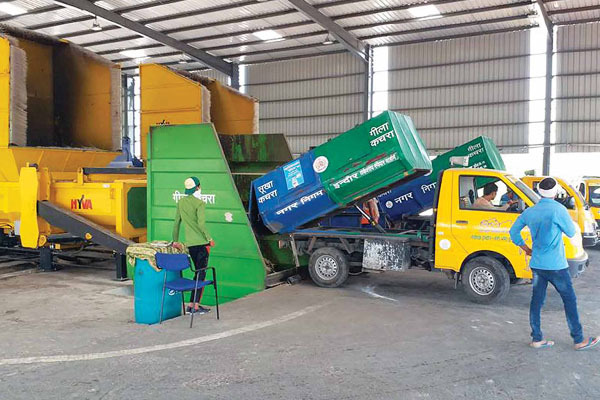 A fast growing Indore has been generating 1,100 tonnes waste per day and to treat it scientifically required a very different approach which Singh could do very successfully. WHILE the ODF drive continued, municipal officers took up the humongous challenge of collecting city garbage and then processing it 100% on daily basis at the old trenching ground. More than 800 rag-pickers were employed to segregate the dry and wet waste but still they were not able to do the job fully. So the commissioner set up a mechanised segregation plant on the spot and reduced human intervention to the minimum. Wet waste was used to make compost and methane and with the dry waste segregation was done through the latest machines. After arriving at the right mix of men and machines, 300 tonnes was being treated daily with the help of robotic machine and plants, a task which had never been done before. Singh says that for six months lot of planning was done and then work began on processing new as well as old garbage at the trenching ground. Plastic to diesel plant was also set up to clean up the decades old garbage of 13 lakh tonnes which contained a large chunk of plastics waste. It’s a national record and other cities can learn from Indore. 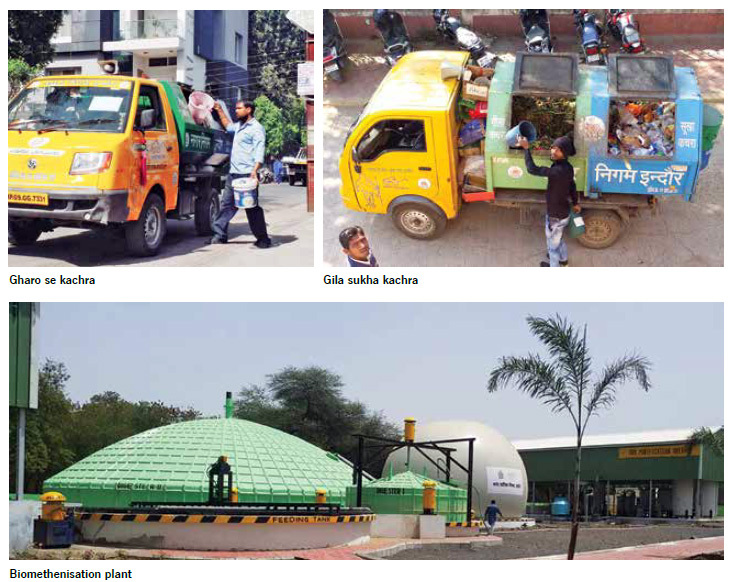 Indore managed to maintain the standards of sustainable sanitation while also undertaking innovative practices. The garbage cleaning task has never been done anywhere in India on this scale and that tilted the scales in favour of Indore where the streets, roads, gardens, railways establishments, residential colonies, their backlanes and public toilets have been continuously monitored to achieve the crucial parameter of a garbage-free city. This year, MoHUA introduced star ratings and an independent team of assesses went to Indore and found the city to be doing exceedingly well on all parameters.